We totally stayed in this year for New Years, and we totally enjoyed ourselves. 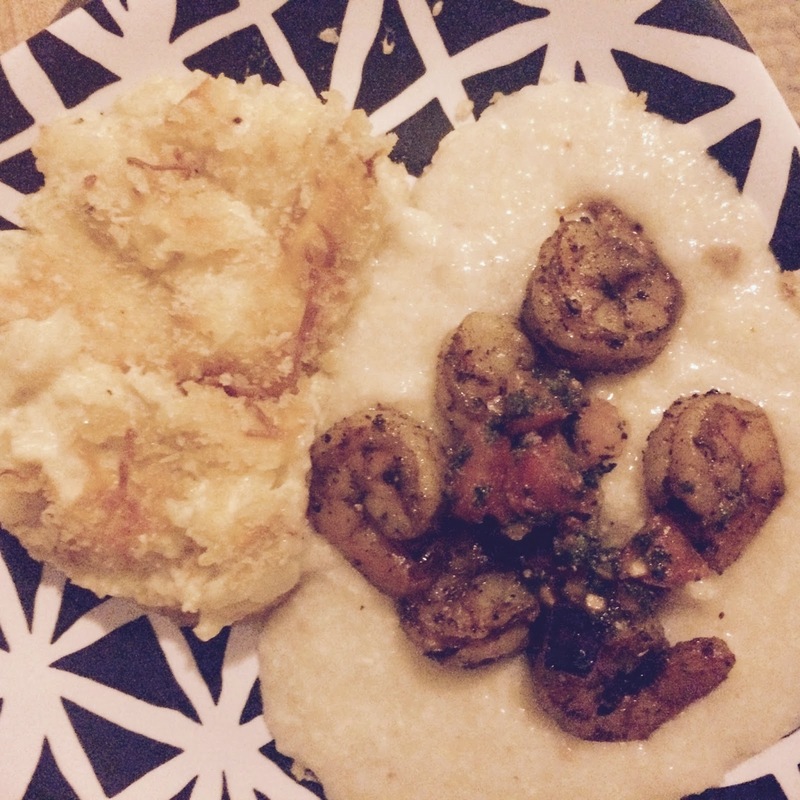 (I) Decided to have a New Years Eve fancifed brunch for two: Champagne*, hash brown casserole, and shrimp & grits. 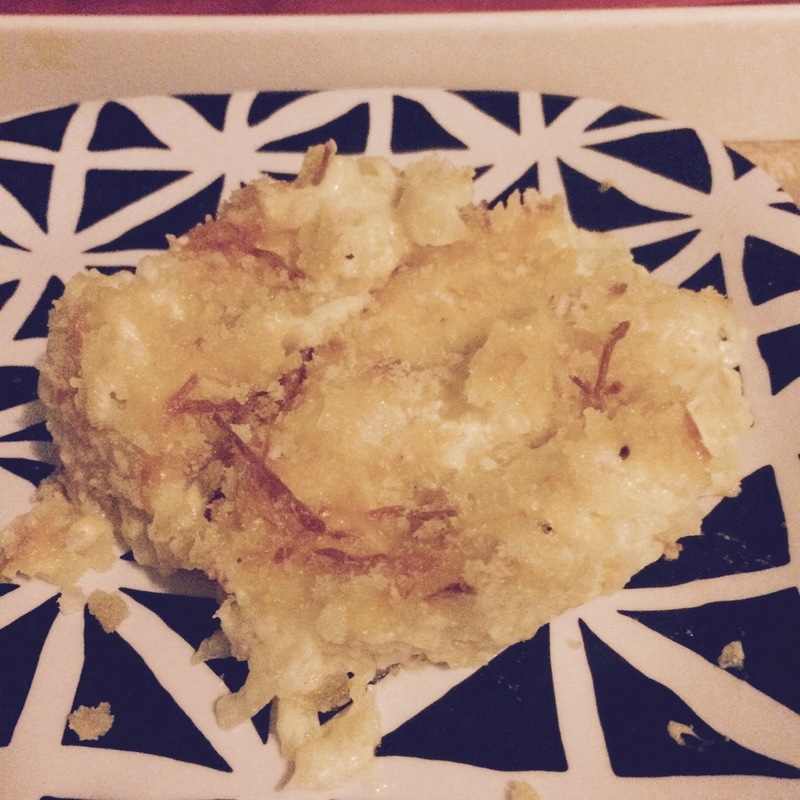 Was my first time making** the hash brown casserole, which was super easy to make (WINNING); and OH MY that bad boy was effing DELICIOUS! Since this is such a rich and decadent dish, I tried using as much organic and natural ingredients*** as possible. Fresh out the oven. Look at that tasty crunchy panko bread topping covering all those cheesy yum yum flavors. All platted & ready to be devoured. *Not pictured is, probably, the two glasses of champagne I partook while making this. *I took some liberties and smashed up the recipe making it mine. Most recipes I saw called for a cornflake topping. 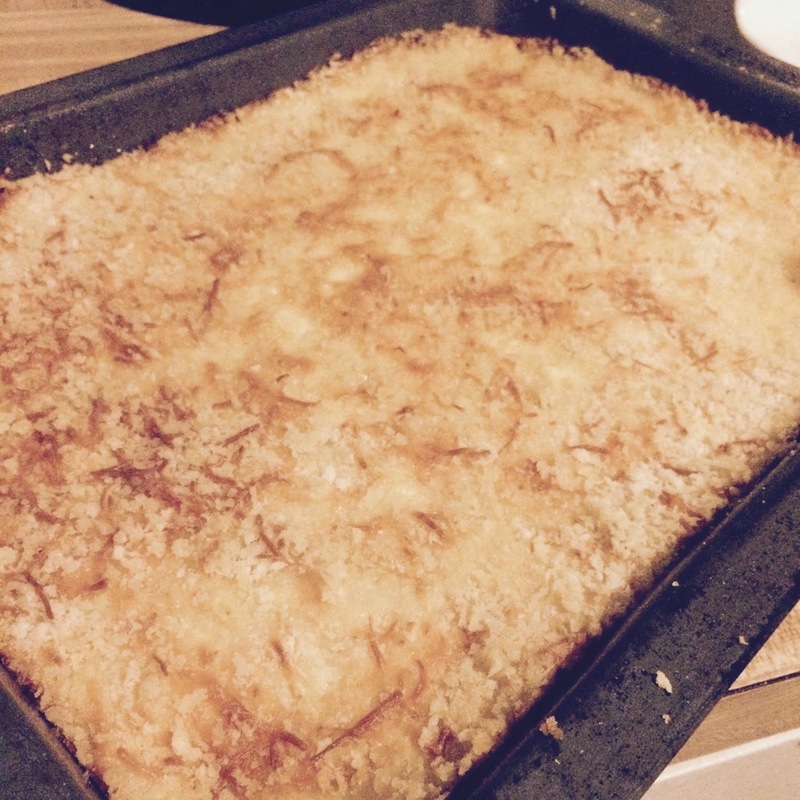 Cuase I'm way too fancy for my own good, I decided its panko bread crumb topping or go home. **The lady at ringout was all "you sure you want to use organic products, cause your casserole aint go be good* . MAAM, take thee processed food eating self away. In a large bowl stir together first 5 ingredients; and by large bowl I mean the biggest dang on bowl you own. Seriously, you will thank me later. Add in black ground pepper, sea salt, and garlic for taste. I used only 1 cup one of the cheddar cheese in this step. Spoon mixture into a lightly greased 14- x 10-inch baking dish. Sprinkle on the remaining cheddar cheese then cover the entire thing with the panko bread crumbs. Drizzle evenly with butter. Bake at 350° for 1 hour or until bubbly.